Home / Our Physicians / Theodore H. Gertel, M.D. "The Wisconsin Work Injury Doctor." Dr. Ted Gertel specializes in the treatment of sports injuries and work injuries. He is the Team Orthopaedic Surgeon for the Marquette University Men’s Basketball Team, and he previously served as Head Team Physician for the Milwaukee Brewers. Injured workers get the same treatment as professional athletes when they see Dr. Gertel for injuries of the shoulder, elbow, knee, or ankle. Dr. Ted Gertel specializes in the treatment of sports injuries and work-related injuries of the knee, shoulder, elbow, and ankle. He performs arthroscopic surgery and other minimally invasive surgical procedures. 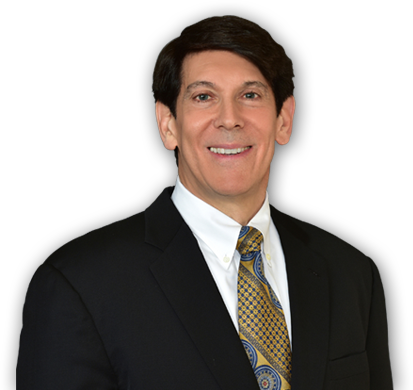 Dr. Gertel is well known for his high success rate in the treatment of persistent, recurrent, or exceptionally severe cases of elbow tendonitis, commonly referred to as "Tennis Elbow" or "Golfer's Elbow". He is the first sports medicine specialist in the Milwaukee area to perform Platelet-Rich Plasma (PRP) Injection Treatment for tendon and other soft tissue injuries. More information about PRP is available at his website www.tendonconnection.com. After graduating from Harvard College with Honors in Biology, Dr. Gertel attended the New York University School of Medicine. He received his MD degree at NYU, where he was Class President and Valedictorian. Dr. Gertel completed his Orthopaedic Surgery residency at the University of Connecticut School of Medicine, and he was a Sports Medicine Fellow at the University of Minnesota School of Medicine. His research on the biomechanics of anterior cruciate ligament reconstruction was presented at an international scientific conference and published in the American Journal of Sports Medicine. Dr. Gertel is the Team Orthopaedic Surgeon for the Marquette University Men's Basketball Team. He previously served as Head Team Physician for the Milwaukee Brewers (Major League Baseball), and he was the Head Team Physician for the Milwaukee Rampage (professional outdoor soccer team). Dr. Gertel is a Grand Champion in the Body-for-LIFE 2006 Challenge (international fitness transformation competition). He is featured in the book, Champions Body-for-LIFE, published in June 2008. The BFL program challenges you to use your body, mind, and soul to transform your life and the lives of those around you. In the spirit of being fit and helping others, Dr. Gertel completed the Ride to Cure Diabetes (105-mile bicycle ride in Death Valley, California to raise funds for the Juvenile Diabetes Research Foundation).